The government shutdown, which began on December 22, 2018, and ended on January 28, 2019, was the longest shutdown in the history of the United States. With any government shutdown comes a ripple effect where many corners of the economy served by government agencies are also closed, or “shutdown.” The recent 35-day shutdown not only affected more than 800,000 federal employees, but also had an effect on the U.S. real estate market. For real estate, a government shutdown could be a real ticking clock and a true domino effect because a shutdown has the ability to affect many people and deals. For commercial real estate, a shutdown could impact investments, leases, and development as they all hinge on solid economic expansion. Furthermore, a shutdown can impact the retail, and multifamily, commercial real estate market. 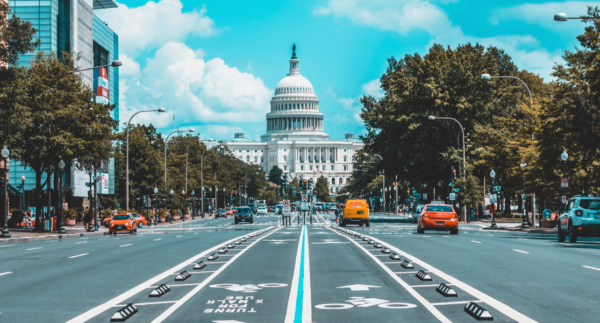 For retail, those government employees not receiving paychecks during times of shutdown can reduce the level of spending at retail establishments, especially in areas with high concentrations of federal workers. This puts tremendous pressure on local economies and can cause a severe impact. For multifamily, the Department of Housing and Urban Development would be short-staffed, limiting the processing of loans for housing projects and enforcement of federal housing regulations. A recent survey conducted by The National Association of Realtors found that the top two most common reasons cited for recent real estate deals in jeopardy during the recent shutdown were 1. General economic uncertainty, and 2. Delays caused by USDA loans. In fact, the NAR found that 25% of potential buyers opted out of purchasing a property due to general economic uncertainty related to the shutdown. For many Americans, a shutdown can add to economic uncertainty about their future, during a time when they are already experiencing high-anxiety about the real estate transaction. A shutdown adds another complexity with possible delays hurting the economy and its consumers. In communities where borrowers are relying on mortgages backed by the U.S. Department of Agriculture, a federal government shutdown puts the brakes on deals that might otherwise close, and leads to unanticipated complications. The 100% government-backed mortgages are only available for properties located within USDA-eligible geographic areas. While metropolitan areas are generally excluded from USDA programs, pockets of opportunity can exist in suburbs, and of course, rural locations are always eligible. Other issues from a delayed USDA funding are families having to wait or halt construction on their properties, uncertainty in how much they could owe in mortgage payments, and the worry of having to lay out funds to pay contractors. Although loans that are USDA are most affected during times of government shutdown, the impacts of a shutdown don’t end there. Citizens who apply for a Federal Housing Administration or Veteran Administration loan could also face complications with less staff working at FHA during a shutdown. However, during the recent shutdown institutional investors had allowed lenders to close loans without some of the documentation they needed from government agencies. They were willing to wait and obtain whatever documents that were missing at a later time once the government reopened. At or before a real estate closing, mortgage lenders generally have borrowers sign an Internal Revenue Service (IRS) request for a transcript of a tax return that used to verify income. This process is also affected while the government is shut down as there are fewer workers. Same goes for when processing a mortgage application, lenders must verify that a Social Security number is valid with the Social Security Administration (SSA). Both of these programs can expect significant delays during a time of government shutdown. If there is any silver lining during a government shutdown, it is witnessing the number of companies and organizations that may choose to step up to help cash-strapped federal workers survive without paychecks. Businesses of large and small have the ability to rise to the occasion in a unique nationwide situation viewing it as an opportunity to show their appreciation for civil servants and military professionals.